that the file sharing service that I had a free read on has become one of the worse guys — apparently that’s where I got the virus that took my email account for a spin. Sorry to all who may have fallen afoul of that. I have migrated the files to a more trustworthy service and want to share that with all of you. As a special bonus, I’m including the link to another free read in a pretty package: Tool For Change is now available for you as a special gift. This one should not be mistaken for a romance — if you go into it with that mind set, you will be disappointed. Read it, come back, and tell me what genre it is. Covers for both are from the talented Jared Rackler — check his website for more evocative covers. Waiting Daniel’s been waiting for a tropical vacation on spring break with his lover, Rick. 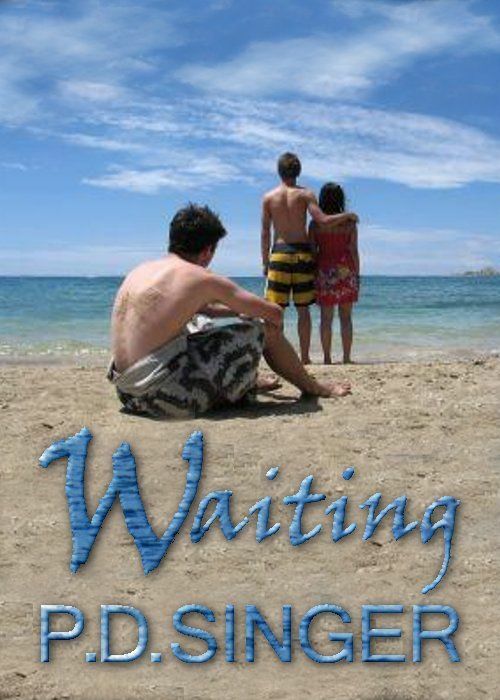 But there’s a pretty stranger waiting for them in the airport at Manzanillo, and now Daniel’s waiting for answers. Tool for Change Maintenance supervisor Henry Sterkel is staying late to fix a malfunctioning light bank the night before Governor Paxson is scheduled to address the Cattlemen’s Association. He wasn’t expecting to get some help from his hot employee Pete, but when a man with tools shows up, expect the unexpected. This entry was posted in Free read and tagged Free read. Bookmark the permalink. Sorry about the email hacking, but glad to see Tool for Change available again for download. It may be a short story, but it sure leaves you thinking. I do like to mess with people’s minds. Sorry for any spam that might have come your way.